Today I will talk about a very simple but mouth watering caramel Custard. This one was my first cooking when I was in year three. If I can make in that age everybody will. Custard/ pudding needs to be very soft. If it does not come out soft that means you need to use more milk or use less egg. If we can remember simple ration of milk and egg 2:1, Pudding will be soft and melt your mouth. Remember that we steam Pudding, don’t put pudding straight to heat. You will also need Round metal cake pan . Whisk egg and add milk, sugar and vanilla essence one by one. For caramel put 2 tablespoons sugar in the metal pan and heat on medium high. Once sugar starts melting, try to spread it all over the pan base. So caramel should cover the base. Pour the egg mix into caramel lined pan. Place pan in a baking dish with hot water to come just halfway up sides. Bake it 30-35 minutes until it just sets. Use a knife inserted in centre, if it comes out clean the pudding sets. Take out from oven. Let it cool down little bit and then put in the refrigerator. Take out from the refrigerator. Use a knife to cut the edge of pudding from the pan. Hold tightly a plate over the pan and turn upside down. You will get you perfect Caramel Pudding/ Caramel Custard. For pressure cooker : You can use pressure cooker to make pudding. Infact using pressure is the easiest way to make pudding. So steam it pressure cooker in medium 15 minutes. and follow rest. Thank you for putting the Caramel Pudding recipe up, they have this in other places and they call it “Flan.” It is very delicious no matter what it is called. I think you have, perhaps, explained it in the most simple terms I have ever seen :)! Thanks Baili. I tried my best to make my recipe easy and simple. Good to know that pudding is called “Flan”. Can please you tell where it calls flan? hi,Rownak im surfing in your dessert world and find the same simple way of explained. So when you make caramel you don,t use any water or oil, only sugar. Is that right. your site is excellent and you are a great cook. I have a question about pudding. do you boil the milk and make it thick? Sometime after flipping it some portions on the top is not smooth, there are some ups and down if you know what I mean. do you know what should I do to prevent it? 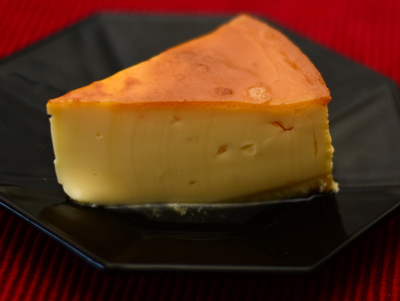 In Mexico its called Flan. Sorry for late reply.Just make sure milk and egg ration is 2:1. I prefer to use milk powder(my mum says that milk powder makes better pudding). I dont thicken up milk. Do you ever try to make pudding in pressure cooker? I feel pressure cooking the best and easiest way to make pudding. Nice to know about Flan. Hope you got the answer. If I missed anything, let me know. Thanks. preheat 180. but u didn’t mention the time. i mean i should preheat it for how many minutes/seconds ? Hi apu,I’m a big fan of yours ,I was wandering if I use powder milk ,am I gonna use 2 cups od powder milk.and how I’m gonna mix it with egg. Tnx. My mum says that powder milk makes better pudding. 7/8 cup water + 3 tablespoon milk powder= 1 cup milk. But for pudding use 1 tablespoon extra in per cup . Thanks.